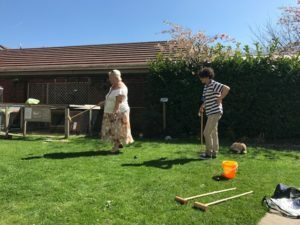 The sun has been shining over Blair House Care Home and the staff and Residents did not waste anytime putting on their sun hats and shorts to play some games in the garden. The croquet game was a lovely way to play away the afternoon with some Residents becoming a little competitive. 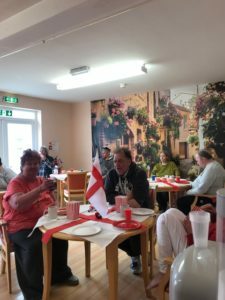 The Activities Coordinator recently organised a celebration party for St Georges Day, the Residents had a lovely buffet served by the Chef including a few tasty themed treats.